Doug has performed on six continents at virtually every major concert hall, jazz club and jazz festival in the world, including - Carnegie Hall, Kennedy Center, Royal Albert Hall, Walt Disney Concert Hall in Los Angeles, The Sydney Opera House, The Dewan Fhilharmonik Petronis Concert Hall in Kuala Lumpur, Singapore's Esplanade Concert Hall, The Blue Notes in Japan, Italy and New York, The Village Vangaurd, Blues Alley, Birdland, Ronnie Scott’s, Newport, Chicago, Montreal, New Orleans, New York, and many more. Doug has also performed for 5 American Presidents as well as the Queen of England and the Royal Families of Monaco, Sweden and Spain. 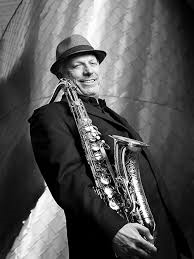 As the featured tenor saxophone soloist with the “legendary” 18-time Grammy award winning Count Basie Orchestra, Doug has toured the world extensively. The Basie Orchestra has no parallel in jazz. They have won more awards, polls and Grammys than any other jazz big band in history. The chair Doug fills (1st tenor) has been inhabited by a virtual "who's who" of jazz tenor saxophonists. They include - Lester Young, Hershel Evans, Don Byas, Eli "Lucky" Thompson, Budd Johnson, Buddy Tate, Illinois Jacquet. original member include, the 1st National Tour of "Sister Act".